Teton loves a good bully stick. I love a company that specializes in good bully sticks. True Chews does just that. That’s their 100% natural Beef Bully Braid. And it’s only $3.99. Awwwww yeah. I trust True Chews because they focus solely on providing the best possible chews for dogs that are both 100% natural and made in the USA. 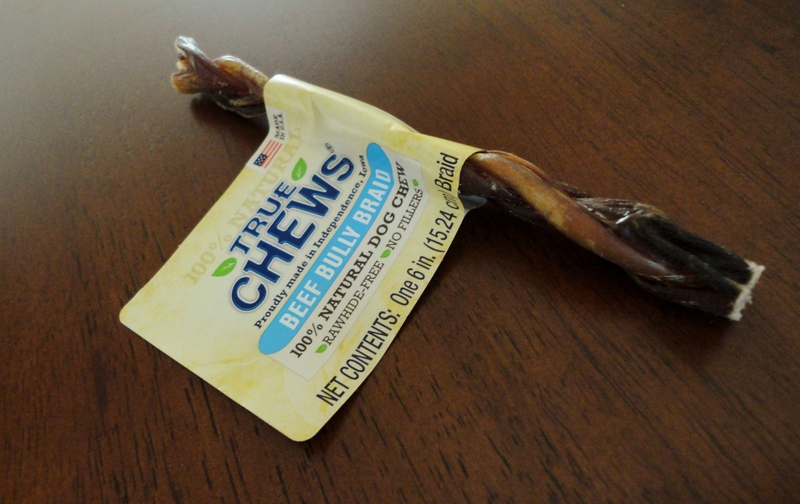 When I first found True Chews, they were only selling bully sticks, but thanks to an offer from our friends at Chewy.com, I’ve learned that they have expanded their repertoire to include pig ears and jerky. 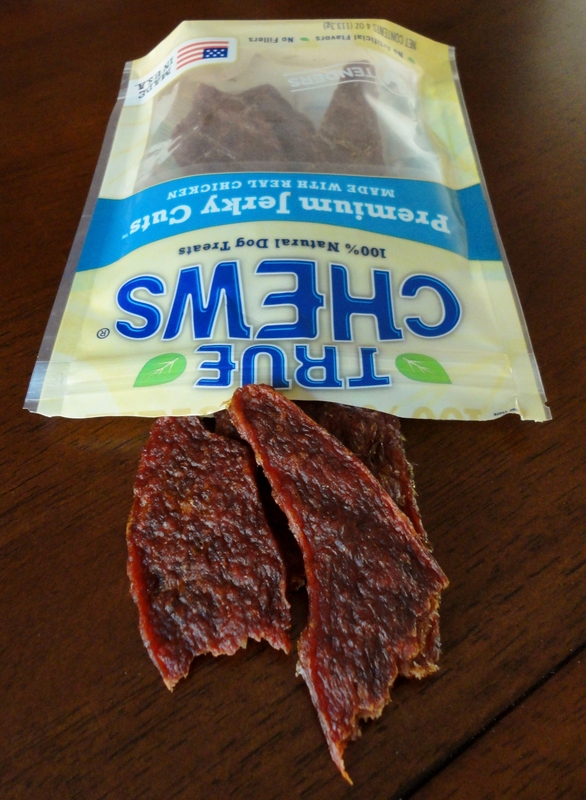 While I love bully sticks for their hygiene benefits and longevity, I was interested in trying True Chews’ Premium Jerky Cuts because I don’t typically buy jerky treats for Teton. 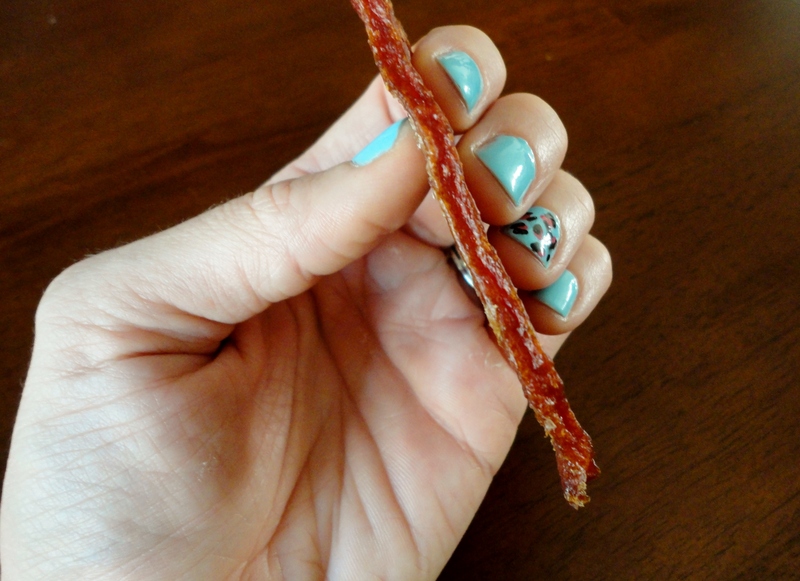 Like their bully sticks, True Chews’ Premium Jerky Cuts are 100% natural. These suckers smell fresh, and I mean fresh. When I open the bag it’s as if I’m walking into the Oberto factory and Teton comes running from where ever he is in the house. 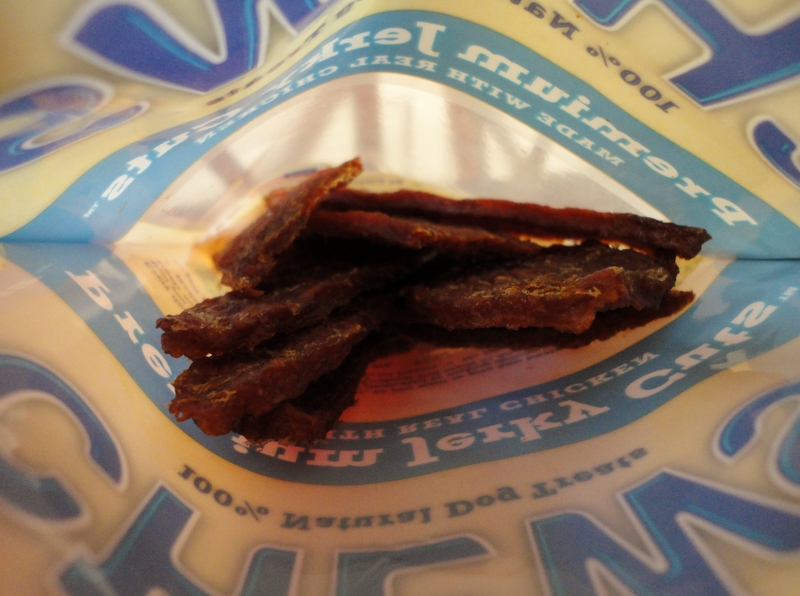 The texture and size of the Premium Jerky Cuts are perfect for any dog. Not too hard, not too soft. Big enough to satisfy a large dog but easy to tear if you have a smaller dog or want to watch portions. 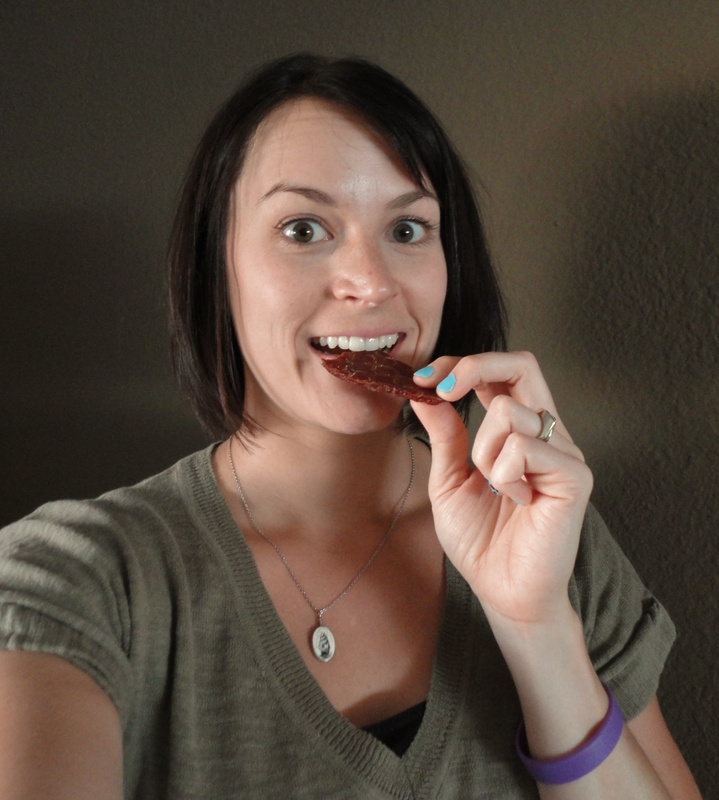 And, as with the other True Chews products, Premium Jerky Cuts are affordable. A 4oz bag is just $4.99. You can eat them too. So, if you or your dog are jonesin’ for some jerky, head over to Chewy.com and check out their selection of chews from True Chews. 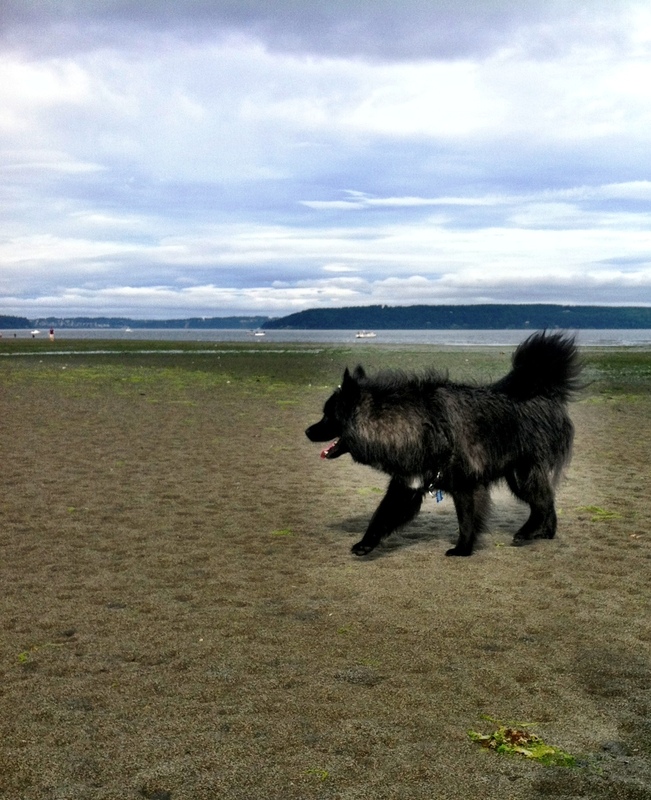 Posted on August 20, 2013 by Shannon	This entry was posted in Treat Jar. Bookmark the permalink.